I know, I know. I’m on a JAB break. But this was already baked and the photos taken, so I’m posting it. That’s how I do. Seriously, it’s been a weird week. When I stepped back from the blog, I found out something interesting. A few things, actually. I’ll share them momentarily. 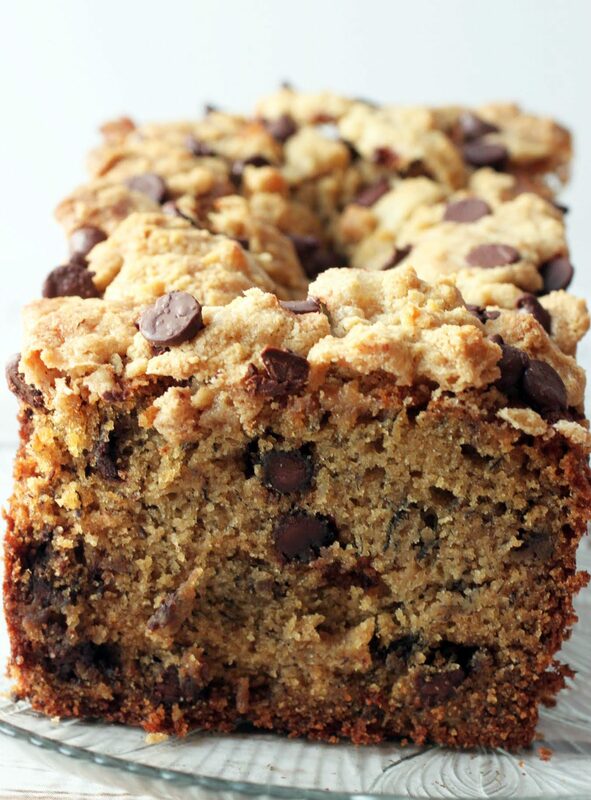 I’ll also share this chocolate chip streusel banana bread, which is heaven. How can it not be? 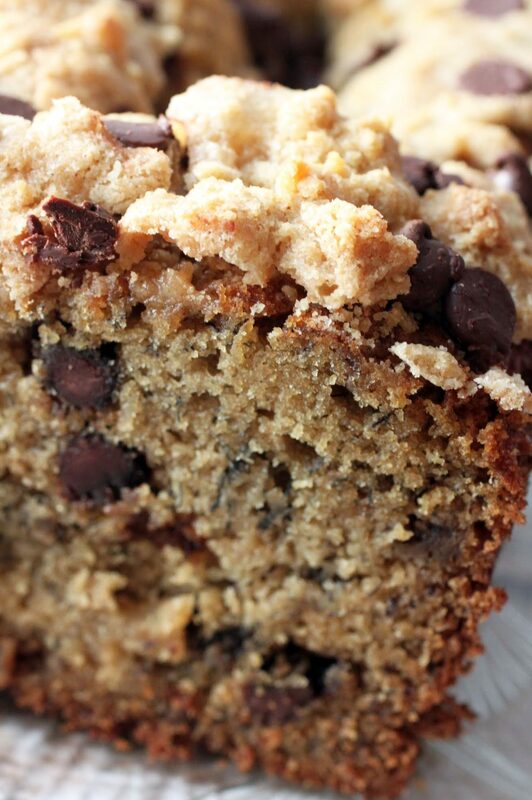 It’s the most perfect banana bread, all filled and topped with chocolate chips and the most delightful, crumbly streusel. Back when JAB began, I had just come away from a traumatic life event. I’ve talked about it before, and so I’ll just quickly summarize. My youngest daughter had a dangerous birth with an abrupted placenta, and both she and I went into distress. I remember looking at the ceiling as everything went blurry, struggling to breathe, watching Kenny tending to the baby and thinking, “I’m going to die alone.” It was not a moment I’d like to repeat, though someday I will, of course. Afterward, I blamed myself. She’d been breech, and I’d been doing a lot of alternative methods to try and turn her, like acupuncture and chiropractic maneuvers. All of these were doctor-approved, and when I asked the doctor afterward if it could have caused the trauma, he insisted that it was just bad luck and nothing more. But somebody close to the family suggested to me that it had been my fault, and no matter how vehemently I denied it to her, I was angry and forlorn. Thus began a year of not being that nice to myself. I was probably suffering some form of postpartum depression as well, and I set about holding myself accountable for both things that were in and out of my control. I sought perfection, and it wasn’t sustainable. I began to heal. JAB was part of my healing process. I gave myself permission to be fun for a while and to try new things. I took up the guitar, started this blog, and began trying things I’d never tried before. I wanted to see what I could do, however imperfectly. It was humbling. I stink at the guitar, but I love it. The blog has been just fine, but not anything super special. And I’m not perfect, but boy, I’d like to think that I’m special. Along the road, I met lots of blog friends who supported me. Alice and Dorothy, who continued to help me whenever I needed it despite the fact that they are big news and I am not. So many big-time bloggers never give anyone the time of day, but they did. I will always consider them friends. Cheyanne and Annie and Kate, who felt like friends in the struggle, and who are all magnificent. Gayle, who has achieved so much so quickly. Lisa, whose sense of humor I relate to like crazy. And endless more people I spent parts of my virtual week with. I’ll still visit their blogs, but I’ll miss the interaction. What I discovered on my week off is that I am still as busy as I was before, but I have the space now to give everybody and everything a little more time. My children now have more of my undivided attention on weekends, and that’s priceless. Plus, for the first time in years, I picked up a spiritual text and started reading it. I’ve been avoiding religious texts since the incident years ago, not sure of how to tackle some of my biggest spiritual questions. Now I want to face my fears and get on with living. As I said last week, I’m taking a break. I don’t know how permanent this is, or if I’ll miss JAB so much that I’ll be back within a few weeks. No idea. But I have to give myself this time, and we’ll go from there. Hope your autumn goes beautifully, and I’ll miss you for now! Preheat the oven to 350. Coat a 9-inch loaf pan with cooking spray. Set aside. In a medium bowl, combine the oat flour, baking powder, baking soda and salt. Set aside. In a larger bowl, combine the oil, sugar, brown sugar, mashed banana, vanilla and eggs. Stir until smooth. Add the dry mixture to the banana mixture. Stir until the batter is mixed. Add half of the chocolate chips and stir again. Pour the batter into the prepared pan. Set aside. In a small bowl, combine the topping ingredients. Stir the melted butter, sugars, cinnamon and salt together. Mix in the flour with your hands, combining until crumbs of multiple sizes form. Sprinkle the crumb mixture over the cake as well as the remaining chocolate chips. Bake for 50-60 minutes until a toothpick inserted into the center comes out clean. Cool and cut into slices. It’s Sunday night. Translation: I’m a little cranky. Sunday is errand day, a time to get things together before the onslaught of the week begins. Also, I’m a bit peeved because my husband has tomorrow off for Columbus Day, as do most of the people who work in the DC area. Not me. Nope. I’m working a full day tomorrow! Sorry, I’m gloomy. When this kind of mood strikes, only one thing can help. 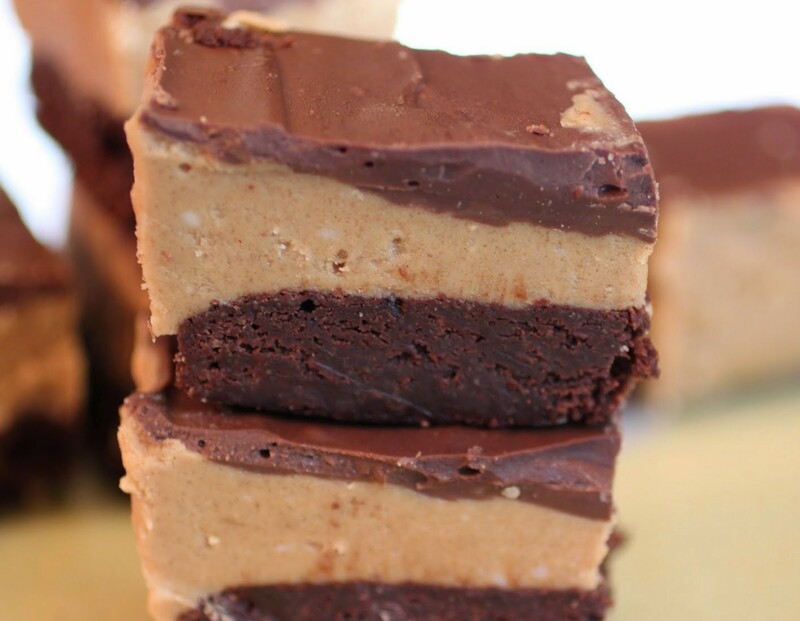 Lots and lots of peanut butter. In a bar. With chocolate. Nothing beats fresh bread. Well, maybe some things do. But not much. Like, I’ve heard that winning the lottery is pretty awesome. But if that happens to you, you’re not supposed to tell anyone or they’ll be trying to bum your winnings. I guess you’re supposed to pretend that the new mansion (complete with pool, personal trainer and stylist) came from a modest amount that a rich uncle left you upon his passing. Fresh bread is nothing to keep secret. Oh, no. You have to share it liberally, announcing to one and all that you have a fresh loaf to be eaten. Especially a loaf like this one. 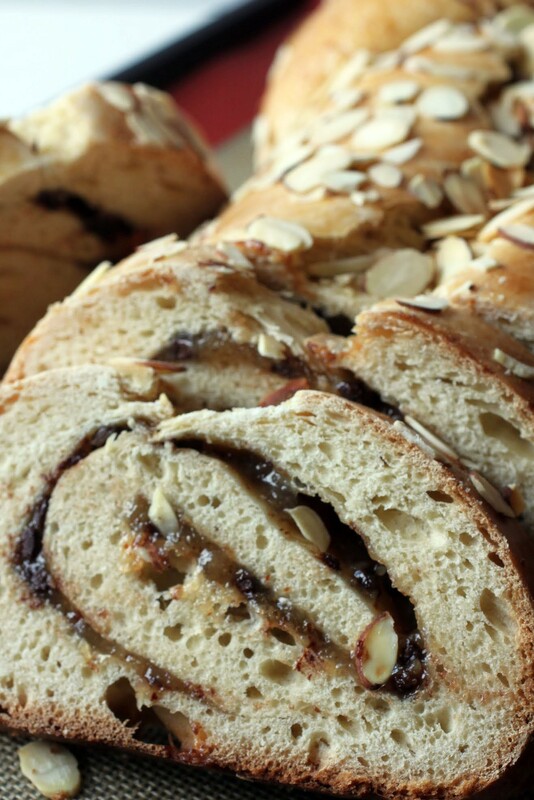 It’s got a delicious almond chocolate filling, so it bridges the gap between actual food and dessert. I had it for breakfast! Whenever I’m in my local grocery store, I always accidentally-on-purpose wind my way toward the bakery section. Because you know, it’s really fun to stare at treats and wonder why you aren’t buying them all. As someone who bakes regularly, I don’t often buy dessert. But that doesn’t mean that I don’t reallyreally want to. There are very few desserts that I have a physically hard time turning away from at the store, but babka is one of them. I love babka. Deeply. Passionately. How could I not? 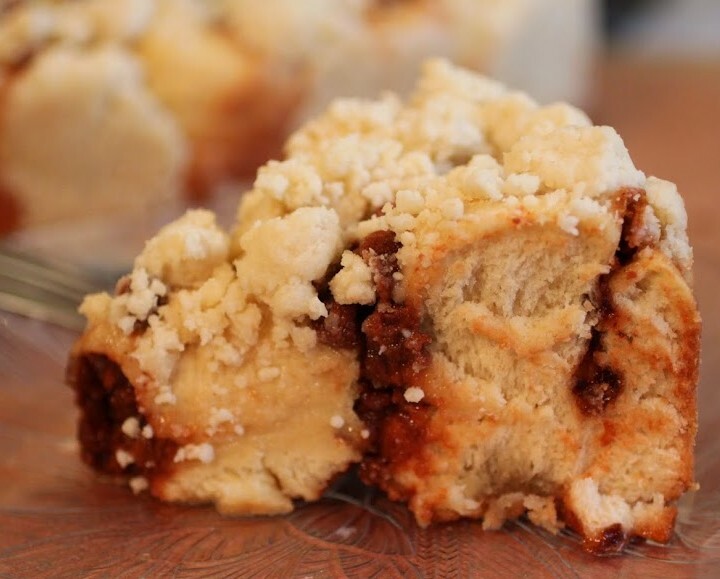 If you’ve ever had babka, you know what I mean. You are so strong! I hope you find what you need in the break you’re taking – sometimes it can be good just to take a step back and see what you have and how you’re doing. I have been taking a break from my, errrm, ‘everyday life’ for a while now and it’s helping me see things more clearly. What is important and what is not, for example. So good for you! I hope it helps. 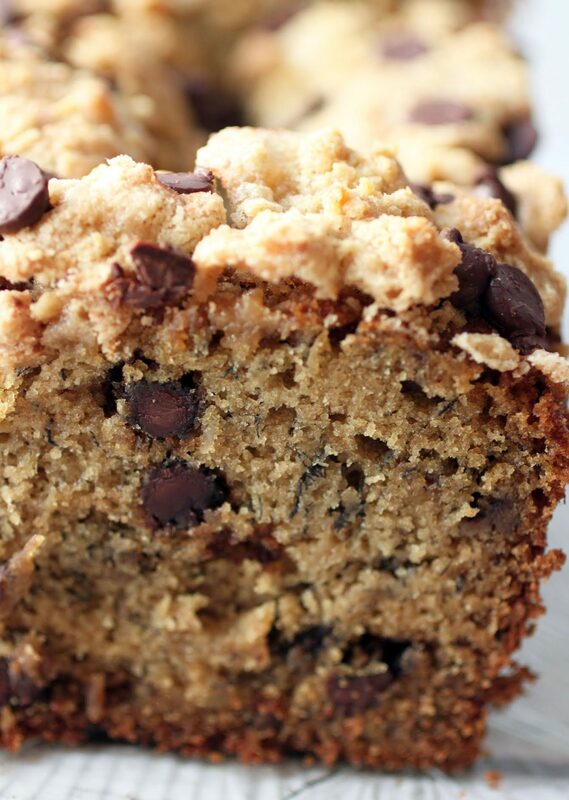 Mmm chocolate chips in banana bread? Such a great idea, Mir! So glad you shared this recipe with us! Wow, Mir! I had no idea you had been through all that. I also somehow missed your last post about taking a break, so I had to go read that one too. I can 100% understand working a full time job with ridiculous hours and a ton of work then trying to keep up with a blog and all the work that entails. I didn’t know you in the beginning because I only started this craziness two years ago, but in that time I’ve always wondered how you kept up with your job, your family, and still manage to post three times a week. Maybe once you have a little rest and kiddo time, you will be refreshed and can come back and just post once a week or whenever the mood strikes you instead of trying to keep up with so much. At least I hope you do because I sure will miss you if you don’t, my friend! P.S. Shame on that person for telling you your daughter’s traumatic birth was your fault. It wasn’t. I had no idea what you had been through. Thank you for sharing this story. You are such an inspiration. Enjoy discovering yourself! 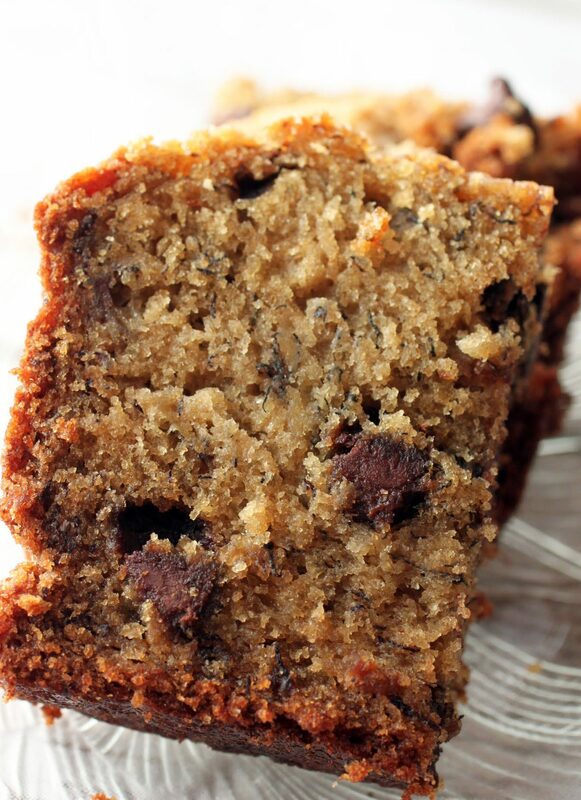 I’ve gotten really into banana bread again lately – this looks awesome! Love those chocolate chips! Oh Mir. You are amazing. You are so strong and brave, and I can’t tell you how many times your blog has made me stop and think. You take care of you, and when the time is right you will be back, and we will be here. I definitely will be. Hugs to you. You, Mir, are special indeed! I was just thinking I hadn’t seen an update and came by to see that you are taking a break. I never read the story about how JAB came into being and Wow – am blown away by your story. Such a lovely post and such an incredibly delicious loaf! I hope you are well – sending you virtual hugs and hoping to see you back here again.